In August, I was catching up with an old friend, and somehow we started talking about broccoli salad. I explained to her, that I will gladly add mayo and a little sugar to a recipe if it means that my kids will eat a bunch of raw broccoli without a fuss. It sounds like a great kid-parent compromise to me. My kids actually look forward to broccoli salad. I feel like everyone I know has their own broccoli salad recipe. I think people to tend to add ingredients that they already have around. 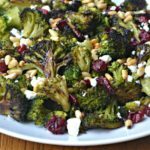 This past weekend, I created a new broccoli salad recipe, that was a huge hit with the fam. 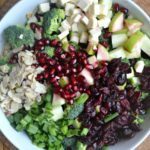 I made this Apple Cider Broccoli salad, where the sweetness in the dressing is actually made from apple cider. Yum. I love how broccoli salad can be made ahead of time. You can just pop it in the fridge, and pull it out at meal time. My apple cider broccoli salad is perfect for fall, as is this meal of a quick Tony’s® Pizzeria Style Pepperoni Pizza to accompany it. Right now, you can win all sorts of prizes from Tony’s Pizza. This meal so so fitting for our family in the fall, because we are always on the go, attending different events and activities. We love high school football. We also love college football. We live within a mile of our high -school stadium and our local university’s football stadium. we love catching games at both places. On these busy fall days, I like to take short-cuts in my cooking. 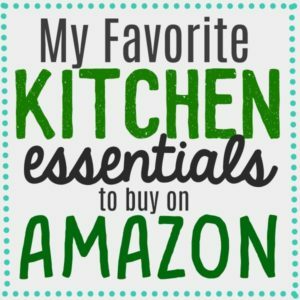 Not only does this save me time from cooking, but also doing dishes. Tony’s pizza has been serving pizza for over 50 years. Tony’s pizza started in Salina, KS in a local pizzeria. Since the 60’s, Tony’s pizza has been serving communities with pizza that has layers of crispy, crunchy crust and 100% real mozzarella cheese. Tony’s pizza tastes delicious authentic. Right now, there is an excellent Ibotta offer for 1/2 off a Tony’s pizza. Check out the Ibotta offer now! You can find Tony’s pizza in the frozen pizza aisle at Walmart. Okay, back to this amazing autumn broccoli salad. Method: Chop broccoli into small florets. and place them into a bowl. Add chopped apple, dried cranberries, pepitas and sharp cheddar cheese. In a measuring cup add mayonnaise, apple cider, apple cider vinegar and brown sugar. Whisk dressing well. 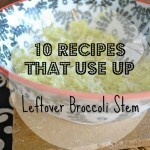 Pour the dressing over the broccoli salad and mix together. and chill before serving. 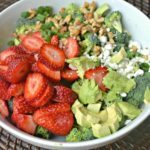 This Broccoli salad is just amazing! This was such an easy dinner. Cheers to Autumn weekends and good food! For the full list of varieties of Tony’s Pizza, check out their website. Don’t forget to check out the current Ibotta offer as well! 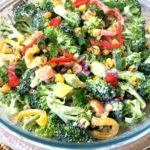 I love broccoli salad… perfect fall idea!